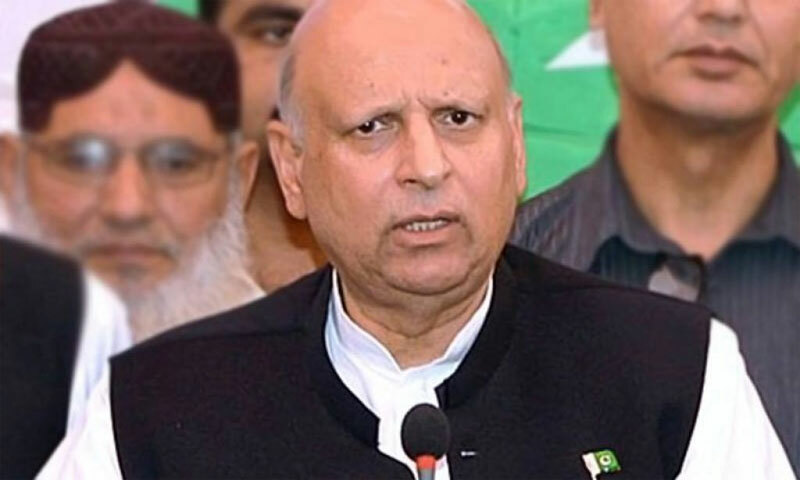 LAHORE: Newly-elected Pakistan Tehreek-e-Insaf (PTI) Senator Chaudhry Mohammad Sarwar on Monday furnished proof of his withdrawal of British nationality before the media. He also showed the letter of UK Border Agency regarding his dual nationality. According to details issued to the media, Sarwar applied for withdrawal of British nationality before UK Border Agency on July 2, 2013, and his request was accepted on July 18, 2013. A notification of UK Border Agency was also released to the media. Sarwar further said he had submitted his UK passport after leaving nationality in 2013 when he became Punjab governor. “I only have a Pakistani passport,” he said. Earlier, Chaudhry Mohammad Sarwar talked about Pakistan Muslim League – Nawaz’s (PML-N) attack on national institutions. He said that the narrative of the nation was the abolition of corruption. “PML-N ministers and leaders have weakened national institutions by threatening them, but we would not let them succeed. Corruption has plagued the country for the past 70 years and we want to eradicate this menace. PML-N is trying to fool people,” he said. He was addressing a luncheon hosted in his honour by PTI Lahore leaders Waleed Iqbal, Hammad Azhar, and Information Secretary Sheikh Imtiaz. PTI leaders Mian Mehmoodur Rasheed, Saadia Sohail and several workers were present at the gathering. Sarwar, on the occasion, said that the PML-N was trying to hide its empire of corruption and impeding the course of democracy in the guise of protecting it. “Real narrative of PML-N is the protection of its corruption, bad governance and money laundering. PML-N has become a threat to democracy, constitution and rule of law in the country. The nation stands by the Supreme Court (SC), National Accountability Bureau (NAB), Pakistan Army and other national institutions. Rulers will fail in their motives. The nation cannot agree to the narrative of corrupt people. Without any doubt, such persons must be sent to prisons,” he said. Waleed Iqbal, on the occasion, said that Chaudhry Mohammad Sarwar’s victory was the victory of Imran Khan’s vision and the start of a change in Punjab. “PTI will clean sweep in the next general elections,” he said.